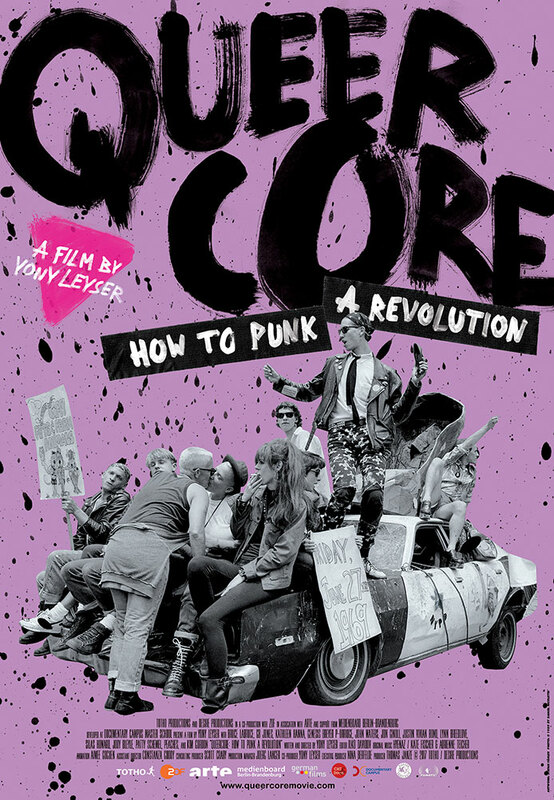 A documentary on Queercore, the cultural and social movement that began as an offshoot of punk and was distinguished by its discontent with society's disapproval of the gay, bisexual, lesbian and transgender communities. Started in the 1980s as a fabricated movement intended to punk the punk scene, Queercore quickly became a real-life cultural community of LGBTQ music and movie-making revolutionaries. From the start of the pseudo-movement to the widespread rise of pop artists who used queer identity to push back against gay assimilation and homophobic punk culture, ‘Queercore: How to Punk a Revolution’ is just that: a how-to-do-it guide for the next generation of queer radicals. The extensive participant list includes Bruce LaBruce, G.B. Jones, Genesis Breyer P-Orridge, John Waters, Justin Vivian Bond, Lynn Breedlove, Silas Howard, Pansy Division, Penny Arcade, Kathleen Hanna, Kim Gordon, Deke Elash, Tom Jennings, Team Dresch, and many more.